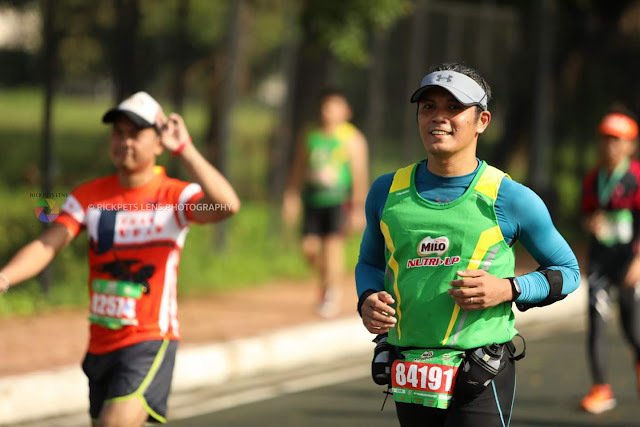 After running my first full marathon in 2017 and realizing that I didn't have enough experience and training for it, I decided to continue training and maintain or even try to improve my fitness level if ever our company would announce another qualifier for the New York City Marathon for 2018. 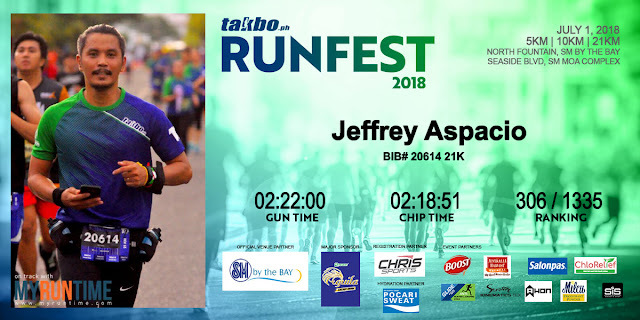 When they sent an email blast to all employees that they've chosen the Takbo.ph Runfest 2018 21k as the qualifier, I wasn't as confident like I was the previous year, but was definitely wiser, more experienced and more ready physically. Finishing in 6 hours, 27 minutes and 29 seconds (bib # 41121) in the previous qualifier, and being the second to the last who finished among those who joined from our company, I didn't qualify for NYCM 2017. And to top all that, I suffered various injuries like a wound from inner thigh chafing, huge blisters from running with wet socks because it rained before gun start, and swollen legs for lack of training and experience. It took me 3 full weeks before I was able to run again. I should have known better. Did I fail? I didn't qualify, that's true, but I didn't quit and throw in the towel after that. The experience didn't put me down, but all the more, challenged me. Learning from it and admitting my shortcomings, I decided to plan out the next 12 months. 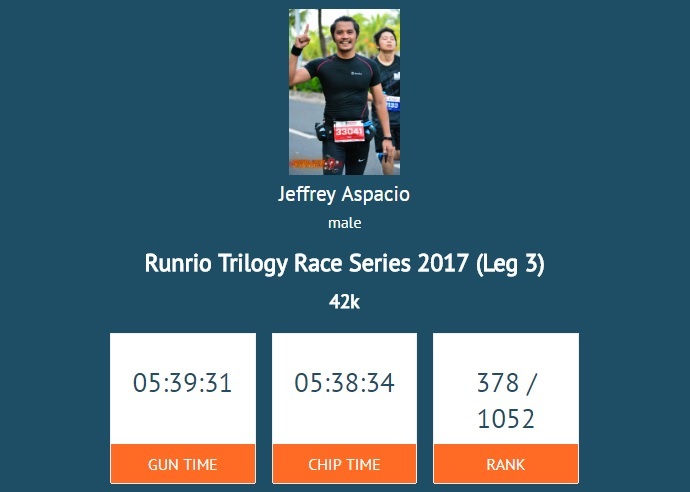 I registered for the RunRio Trilogy 2017 - the trilogy was designed to force my preparation for a full marathon, but this time for a longer period of time. I had almost 6 months to prepare for my second full marathon which was the 3rd leg of the trilogy. The distances for the legs 1 and 2 were 21 km and 32 km, respectively. There was a 6-week spacing in between each leg and looking at it, I knew it could help me train better and longer for my 2nd 42k. If you take a look at my running record (above) right after NatGeo Run 2017 (April 23), you would notice that I ran about 2 to 3 times per week. The RunRio Trilogy legs 1 and 2 served as my long distance runs to prepare my body for my next marathon. As a result of this preparation, even though I must admit I still did find RunRio Trilogy Leg 3 42k a bit daunting, I was able to significantly reduce my finish time for my second full marathon. After this achievement, the next strategy was to replicate the same training approach for the possible New York City Marathon qualifier for 2018. I ran a half marathon every month from November 2017 until the next qualifier. That implied I needed to maintain my fitness level. This was challenging because since May 2017, I took over preaching responsibilities in our church in Eastwood, Christ's Way Community, every Sunday, 10:30 am. If you don't know yet, running events are usually scheduled early Sunday morning. 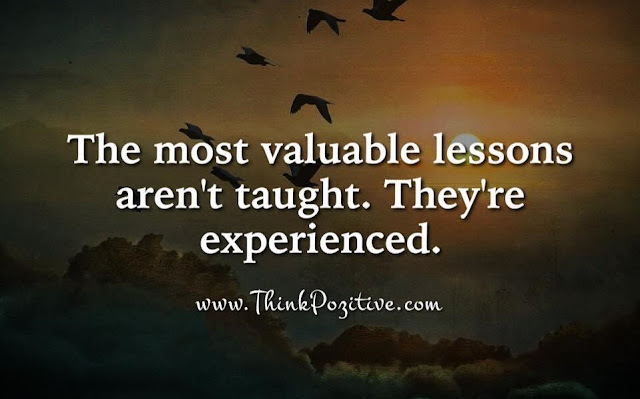 It helped that there was at least one Sunday in a month that I didn't teach. Another thing I incorporated in my training regimen was to do long distance runs on weekends and running up Sumulong Highway, from Masinag, Marcos Higway to Antipolo - hills training - something I started in November 2017. Since then, I did my best to run regularly, only allowing a maximum of 4 days without ever running. I ran wherever, whenever. Below are some of my runs - hills, provinces and countries, when we went on trips as a family. Having done all these, I thought I was totally ready for the qualifier, until something happened and I learned another important lesson. Early June while we were in Dumaguete City, after our company announced that the Takbo.ph Runfest will be the qualifying run for NYCM 2018, I sprained my left ankle badly. Not from running, but from a simple misstep while taking photos around the Dumaguete City port. The sprain was so bad that my ankle became swollen and I couldn't walk properly - and the qualifier was in 3 weeks. I had laid out my plan for our 2 week trip - June 9-12, Dumaguete, Siquijor and Tayasan, Negros Oriental; June 13-24, Kuala Lumpur, Doha and back. With the sprain, I wasn't able to run as scheduled. I felt disappointed, and really down. I was forced to stop. I had no choice. Stopping gave me time to slow down and just ponder about everything that was going on at that time. As I was thinking about what happened, I realized this - qualifying for the NYCM was a goal in this season in my life that I was gripping onto a bit too tightly. What have I been doing and thinking? I was on a trip with my family and my mind was on running! I've lost my bearings. The sprain, as bad as it may have been, helped me take a step back, check my heart and re-think my priorities. 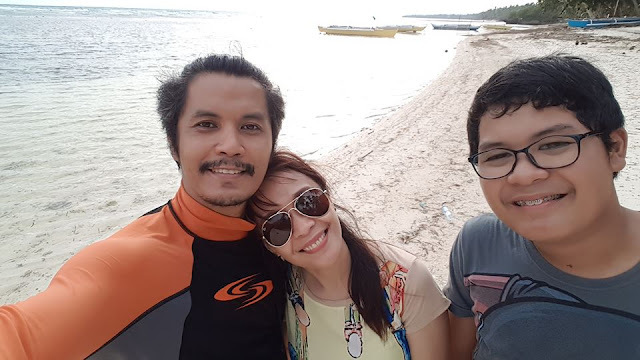 I was reminded of what’s really important and it’s the life-giving relationships in my life - my relationship with God, my family, people in my life. So how did things turn out? I got to enjoy time with my family while on vacation and had a terrific time traveling with my wife to Qatar. As for my running, it turned out that the sprain was able to heal quite fast - not completely, but enough for me to get back to running. I had the opportunity to do a 10-km run in Doha. July 1, 2018 was the day. As the gun sounded at exactly 4am, I waited for 3 minutes before running so the wave of runners would run ahead of me. 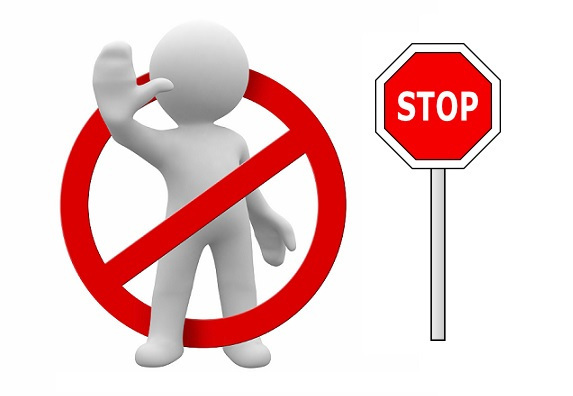 I did this so I can start the race running at my own, natural, unhindered and unobstructed pace. I felt relaxed and that was important. The game plan worked. Among those who participated in our company's qualifier for the NYCM, I was the second who finished. My official time was 2:18:51. I thought I established a new PR (personal record) as seen in my social media post below. 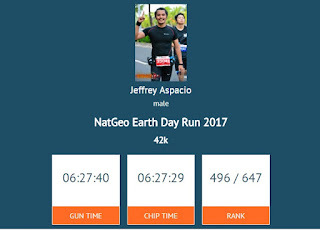 But after checking, I realized it was 8 seconds short of my fastest 21k run which was during the SMDC Run last February 2018. Nevertheless, it was enough. I'm going to the New York Marathon this November 2018, by God's grace! 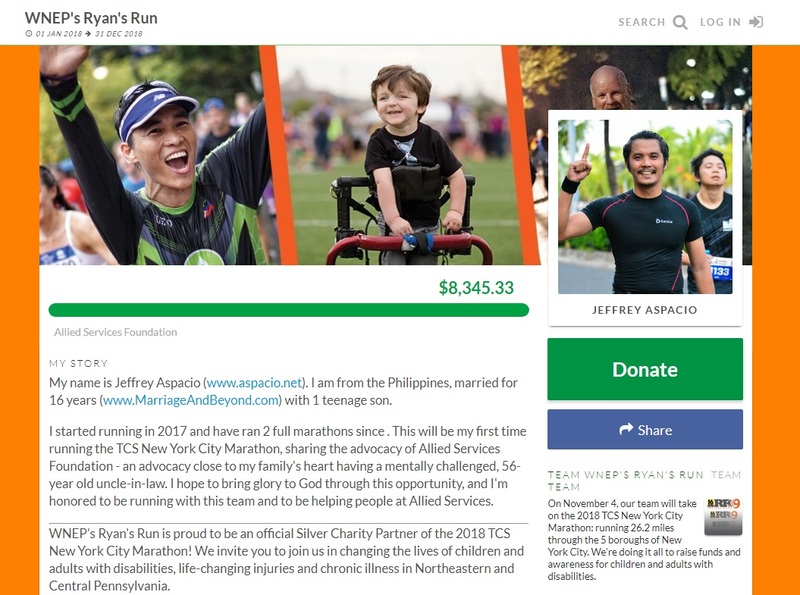 Running under the banner of Open Access, charity donor to WNEP's Ryan's Run which is an official Silver Charity Partner of the 2018 TCS New York City Marathon, I share the advocacy of Allied Services Foundation - an advocacy close to me and my family's heart having a mentally challenged, 56-year old uncle-in-law. As written in my EveryDayHero page, I hope to bring glory to God through this opportunity and am honored to be running with 49 others from WNEP Ryan's Run team. To God be the glory!